It’s been a long time since my last post but now that the summer is nearing its end I thought I’d share what is to me a new name in BC winemaking. In recent years I have gone out of my way to spend time in the Okanagan Valley each time I travel back to British Columbia to visit family, but this year has been different. A shorter trip and different priorities made it virtually impossible to carve out a few days to visit what is historically the prime winemaking region of the province. Thankfully there is little need to travel to the province’s interior to taste the best wines these days (with a few exceptions). And while some of the best wines come with a price premium, there are still a few gems that represent reasonable value. 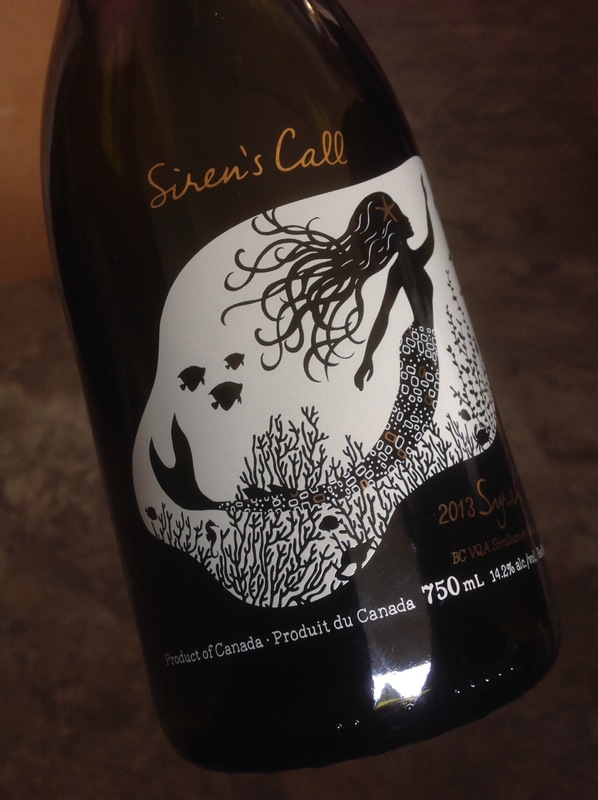 The wine in question today comes from BC Wine Studio — Siren’s Call Syrah 2013. Sourced from vineyards in the Similkameen Valley near Cawston, BC, this is a top syrah without the sticker shock that comes from other wines, such as those from the more established labels such as Black Hills. At around $30-35 a bottle, it is a good $10 less than competitors. This doesn’t mean it is a lesser wine. It is medium-bodied with aromas of black cherry, pepper and black fruits, with further cherries and dark fruits on the palate, with complex spices and pepper to finish things off. It is reminiscent of an Old World syrah with its restraint and dryness, topped off with a hint of New World fruit and sweetness.